Politics can be a dirty game. It can oftentimes bring out the worst in people. It isn’t for the faint of heart. On the flip side, however, politics gives us an opportunity to witness individuals rise above the negative elements usually associated with politics, as well as the other challenges they have endured to help them make their mark in history. Such a feat was witnessed on June 13, as San Francisco Board of Supervisors President London Breed, 43, overcame tremendous adversity and challenges to become the first African American woman to become mayor of San Francisco. The historic win by Breed also makes her only the second woman in San Francisco’s history to become mayor and the only female mayor in any of the top 15 most populous cities in the United States. This is a significant victory for African American female candidates. It also speaks to the power of establishing a broad coalition of voters, including targeting a large percentage of Black voters as a base. While San Francisco has a population of roughly 870,000, it also has one of the smallest percentages of Blacks living there among all of the major U.S. cities—less than 6 percent. Over 50 percent of the voting electorate came out to vote in this historic election, with a large percentage of Black voters choosing Breed as their candidate for mayor. As a result of her historic win, Breed will now serve out the remainder of the term of Mayor Ed Lee, whose sudden death as a result of a heart attack in December created the need for the June 5th special election. Breed will serve until to 2020, and will undoubtedly run again for a full four-year term. 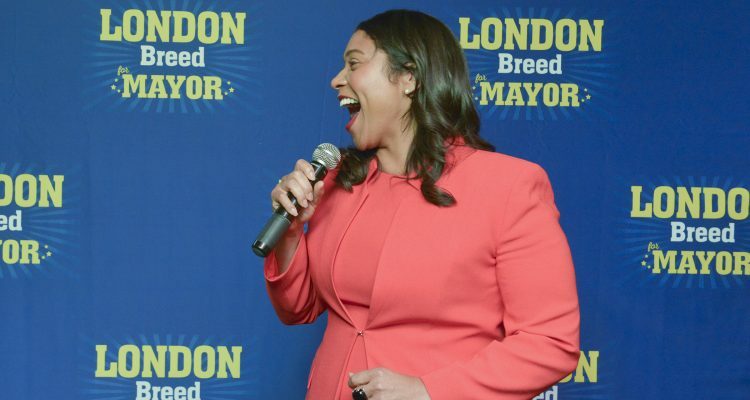 After the general election, which was held on June 6, Breed found herself with a significant first-choice ballot lead over her closest opponents. She led former state Senator Mark Leno, who is White, by nearly 13 points and her colleague on the San Francisco Board of Supervisors, Jane Kim, who is Asian, by over 12 points. Because San Francisco does not use a traditional voting system, but rather a unique ranked-choice voting system, Breed and her supporters had to wait eight days before finding out the historic results. To get a clearer understanding of what Breed went through to become mayor of San Francisco, you have to better understand the ranked-choice voting system. Basically, when San Francisco voters cast their ballot they get to rank their top three choices for mayor. After all the first-choice votes are tallied, whoever comes in last place gets eliminated and that candidate’s supporters get to have their votes transferred to their second choice. Whoever ends up with the majority of votes during this process wins. In Breed’s case, although she would have won easily if this were a traditional voting system, she found herself losing her sizeable lead after election day and having Mark Leno take the lead overnight after the ranked-choice voting results started come in. Things were extremely close, but each day after the election, Breed continued to cut into Leno’s lead. 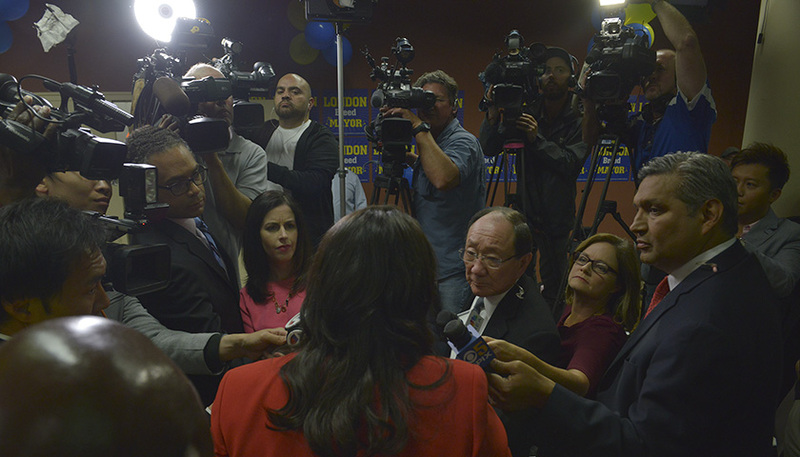 Breed eventually overtook Leno and continued to widen her lead over him to the point he had no other choice but to concede, which he did on June 13. This was by far the closest and most competitive race the city of San Francisco has had for mayor since 1995. It was then that Willie Brown, the first African American mayor of the city, won his runoff election after coming out of the general election with only roughly 2,000 votes. San Francisco first adopted a ranked-choice voting system in 2002 and has used it since 2004 to elect the mayor, city attorney, Board of Supervisors and five additional citywide offices. To date, a little over 10 cities across the U.S. actually use a ranked-choice voting system. The state of Maine adopted the system in 2016 and first used it in June 2018 for all state and federal primary elections. The journey to the mayor’s office was not an easy one for Breed, especially after enduring months of political maneuvering by her colleagues on the San Francisco Board of Supervisors and other non-Black opponents of hers—many who were fellow Democrats. Many people believed the tactics that were used against Breed were racially-motivated and a calculated effort to keep her from her eventual destiny. Both Leno and Kim were accused of teaming up against Breed, and using questionable tactics to take advantage of San Francisco’s political system of ranked-choice voting in order to keep her out of the mayor’s seat. Both of them held a joint press conference where they strongly encouraged all of their supporters to choose each other as their second choice on the ballot. They also filmed a commercial ad together to encourage their supporters to vote for each other, while shunning the Black female candidate. According to exit polls, more than three out of four Kim voters resonated with their calculated message and chose to select Leno as the second choice on their ballot over Breed. This was not the only questionable move made by Kim and others. After Mayor Lee’s death in December, Breed became acting mayor, but her colleagues on the San Francisco Board of Supervisors felt that allowing her to keep that role would have given her an unfair advantage of being labeled the incumbent once the next mayoral election rolled around. In a controversial move, Breed’s colleagues on the San Francisco Board of Supervisors, including Kim, voted to strip Breed of her duties as interim mayor back in January. Despite public outcry, the Board of Supervisors decided to install Mark Farrell, a White male, as the interim mayor. Keep in mind that all of the people involved in this decision to remove a fellow Democrat from that role were Democrats themselves—Leno, Kim, and Farrell. The only difference between Breed and the other Democrats involved is that she is a Black woman. Also keep in mind that it was Kim, who recently sought to become mayor, who was one of the primary individuals leading that charge against Breed. Another important fact as to why this move was controversial is that a decision to retain Breed in her role as interim mayor after the untimely death of a mayor was not an unprecedented one. Current California Senator Dianne Feinstein was appointed to become mayor in 1978 after Mayor George Moscone was assassinated. This lack of overall support of Black candidates, along with the questionable tactics displayed by fellow Democrats, as what Breed experienced, stands out as a longstanding and disturbing trend. Breed has become the latest proof, however, that this exciting new trend of Black women running for office, locally and nationally, serves as a good indicator that a strong Black turnout could signal even greater outcomes for Black women candidates during November’s midterm elections. 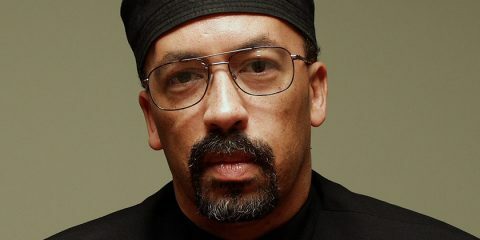 The National Newspaper Publishers Association (NNPA), a trade group that represents over 200 Black-owned media companies across the U.S., recognizes the need to increase Black voter turnout and is continuing its steady push encouraging 5 million new, Black voters to register before the midterm elections, with the hopes of ensuring more candidates like Breed cross the finish line victoriously. 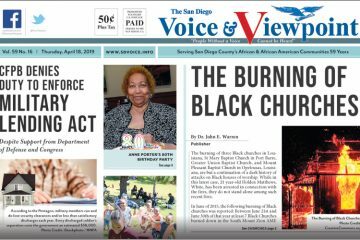 Amelia Ashley-Ward, who serves as NNPA Foundation Chair and publisher and owner of the San Francisco Sun-Reporter, believes that Black voter turnout was a major factor in helping get Breed elected. Ashley-Ward states that the Black Press, especially her local newspaper, played a crucial role in helping Breed win and effectively get her message out. Breed came from humble beginnings. Being raised by her grandmother, Comelia Brown, in the projects of San Francisco, Breed never forgot where she came from. Her grandmother has a lot to do with it. Breed’s grandmother died in 2016 after a long struggle with dementia, but her grandmother’s vision and tenacity to focus on overcoming challenges still sticks with her—as evidenced by this recent quest to become the mayor of San Francisco. Breed’s grandmother was a housekeeper and taught her to strive to be better and to pursue her education. Breed’s brother went to prison and her younger sister died of a drug overdose in 2006, but that did not stop her from doing exactly what her grandmother encouraged her to do. 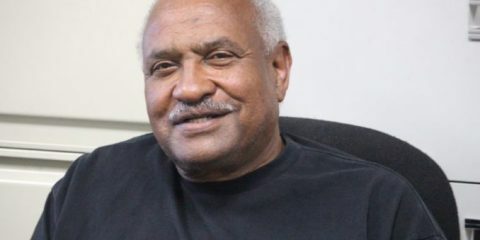 Breed went on to earn a bachelor’s degree from the University of California at Davis and then a master’s in public administration from the University of San Francisco. She got her first taste of politics in the mid-1990s, serving as an intern for former San Francisco Mayor Willie Brown. Breed was responsible for answering the mail and writing proclamations, but she had a hunger for more. 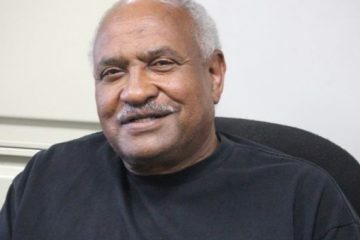 For more than a decade, Breed served as Executive Director of the African American Art & Culture Complex, with an emphasis on providing critical programs for at-risk youth and senior citizens. In 2012, Breed decided she wanted to get more involved politically, so she challenged the incumbent member of the Board of Supervisors in her district and won. She had served in that role since being elected and has been elected by her colleagues as president since 2015. London Breed has shown the world that in spite of tremendous adversity and obstacles, you too can overcome.